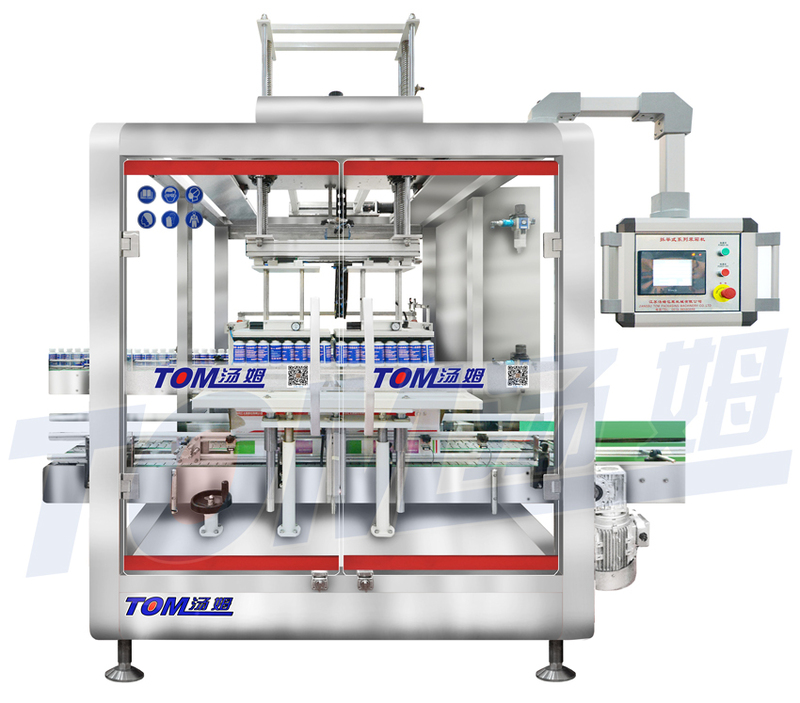 This machine is an intelligent automatic carton packing machine , adopt the high speed orienting device to pack different kind of bottles including oblate , round , irregular plastic bottle and different size of glass bottle , square cans and paper cans etc . Also it is applicable for packing with cardboard sheet . The bottle gribber (designed according to different bottle )take the bottles to the forme cartons ,then the gribber release . The loaded carton is sent to the carton sealing machine . This machine adopts PLC touch screen control . With the safety device of alarming and stopping for bottle lacking . Greatly reduce the labour and labour force , is the indispensable machine of automation producing line , according to different packaging requirement , can orient the products automatically . Especially for combination with the packaging line , easy moving . Bottles , boxes , bags and barrel series .